You floss daily, rotate your tires regularly, file your taxes on time, and exercise at least twice a week. In other words, you have lots of good habits. But when it comes to technology, well, we need to talk. You know all the icons cluttering your desktop, and the passwords you keep in Notepad, and the half-baked backup you make once a month? Those are the results of bad habits--and they're not the only ones. Fortunately, it's easier than you might think to correct bad tech behavior, to handle your computer with the same care and wisdom that you use in safeguarding for your gums. Stardock's Fences helps you organize your desktop and (paradoxically) leaves you with more open range than you had before. Your Windows desktop looks like the inside of your junk drawer, with icons stretched from one end of the screen to the other. How can you find anything in that mess? 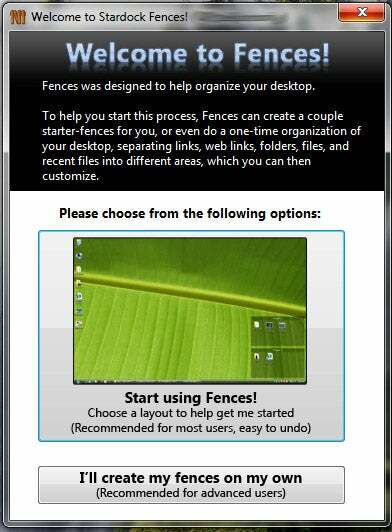 If you need a good way to organize everything, try Stardock's Fences. This free utility corrals icons into semitransparent desktop pens, thereby reducing clutter and improving organization. Best of all, the first time you run it, Fences offers to sort and "fence" your icons automatically. It's like having a maid swoop in and clean your desktop! For the ultimate in desktop decluttering, double-click in any open area, and watch as Fences hides all of your icons--or leaves only a select few visible. Another double-click brings everything back. Now you can enjoy your pretty Windows wallpaper without having to sweep your icons into the Recycle Bin. When you're done using your laptop, your impulse is to press the power button to shut it down, right? Not so fast: On many systems, the power button's default function is to put the machine into Sleep mode. That's not necessarily a bad thing: A "sleeping" PC resumes operation in a matter of seconds, which is quite handy; but it still constitutes a bad habit, for two reasons. First, because Sleep mode is not the same as Off, your laptop will continue to consume battery power. So unless it's connected to an AC outlet, you may return to a drained, dead PC--one that took any unsaved work with it when it gave up the ghost. Second, if you rely exclusively on Sleep mode, your PC rarely gets a chance to reboot--and rebooting is essential to keeping Windows running smoothly. To banish this habit, simply change the function of your power button so that it actually shuts down the system. LastPass keeps your passwords safe and organized in a secure undisclosed location. Oh, the irony: You come up with a hackproof password to use on your banking site, and then you store a copy of that password in an unprotected spreadsheet, Outlook note, or smartphone memo. Goodbye, protection. You need a password manager--a heavily fortified database for important data such as passwords, PINs, and Social Security numbers. 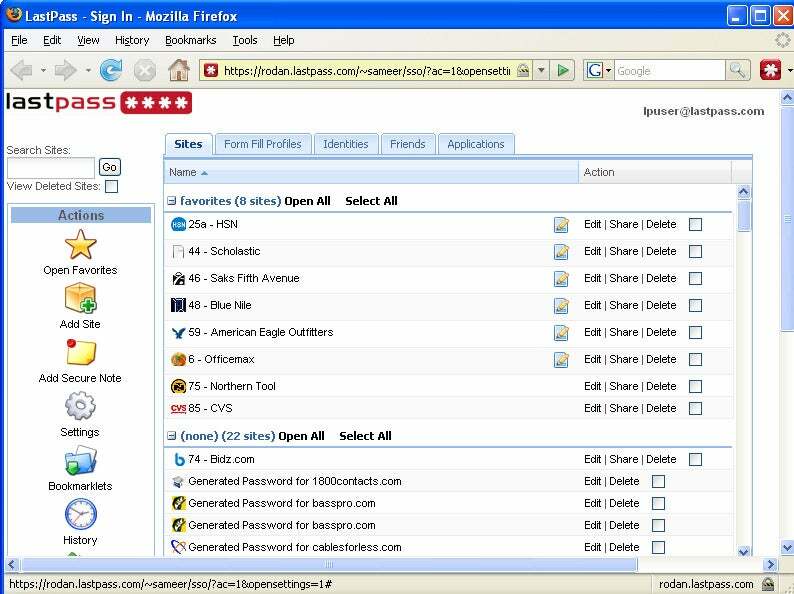 We're partial to LastPass, which generates secure passwords, applies them when you visit various Web sites, organizes any and all private data you care to store, and also syncs across multiple platforms and devices so you have access to your passwords anytime, anywhere. Amazingly, LastPass is free, though you'll have to upgrade to the Pro version (at a mere $1 per month) if you want the companion Android, BlackBerry, iPhone, Palm, and/or Windows Mobile apps.